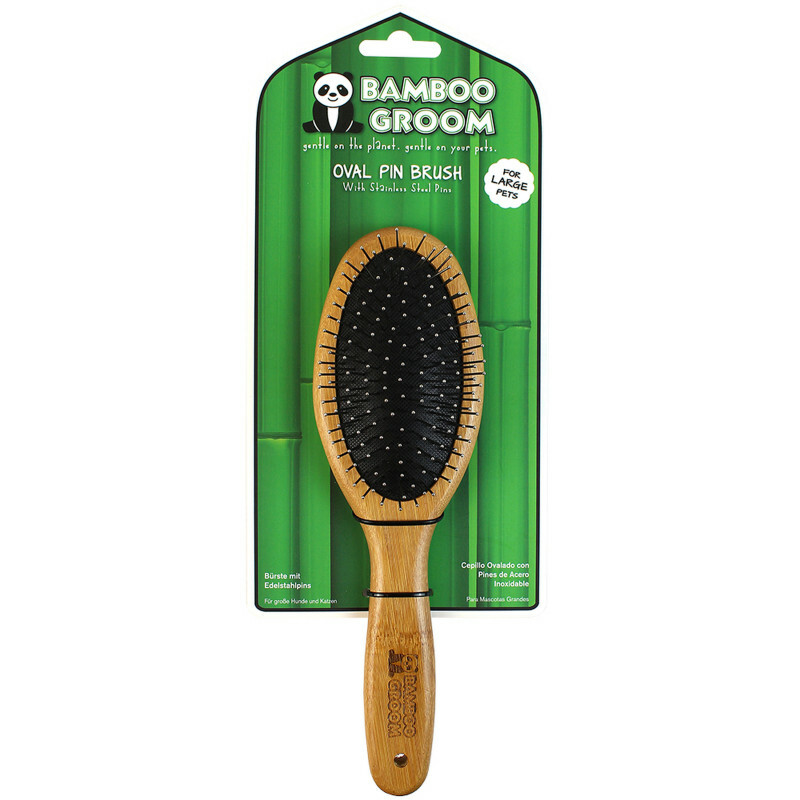 The brushes are made from bamboo, one of the most sustainable wood products around. They have ergonomic handles and a rubber grip to prevent slipping/accidental tugging on your pets fur. 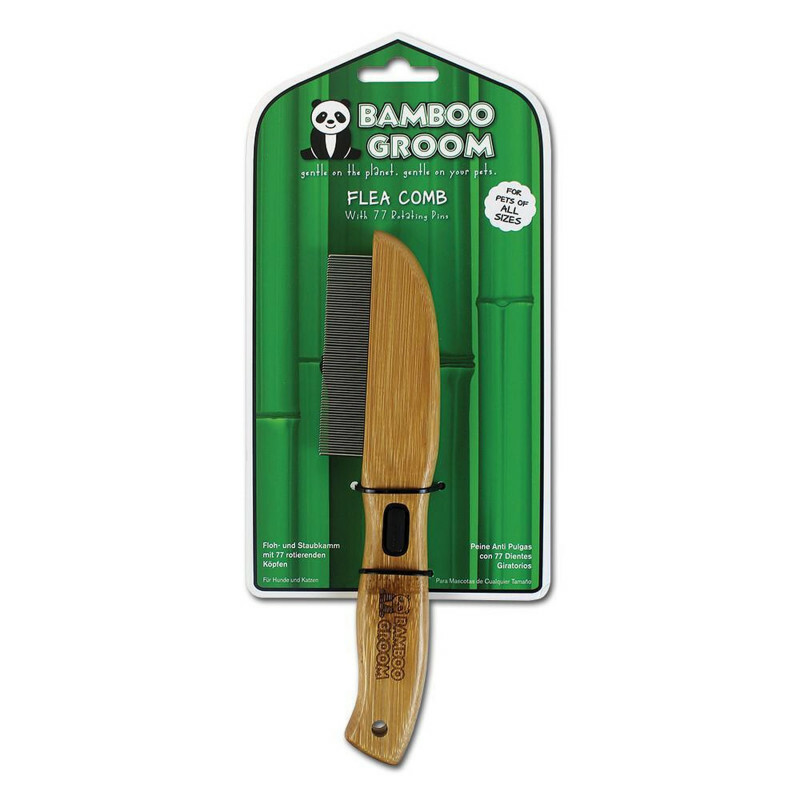 They are handmade in china where the bamboo is grown: this means the added value from manufacture gained by the country which grows the raw materials. 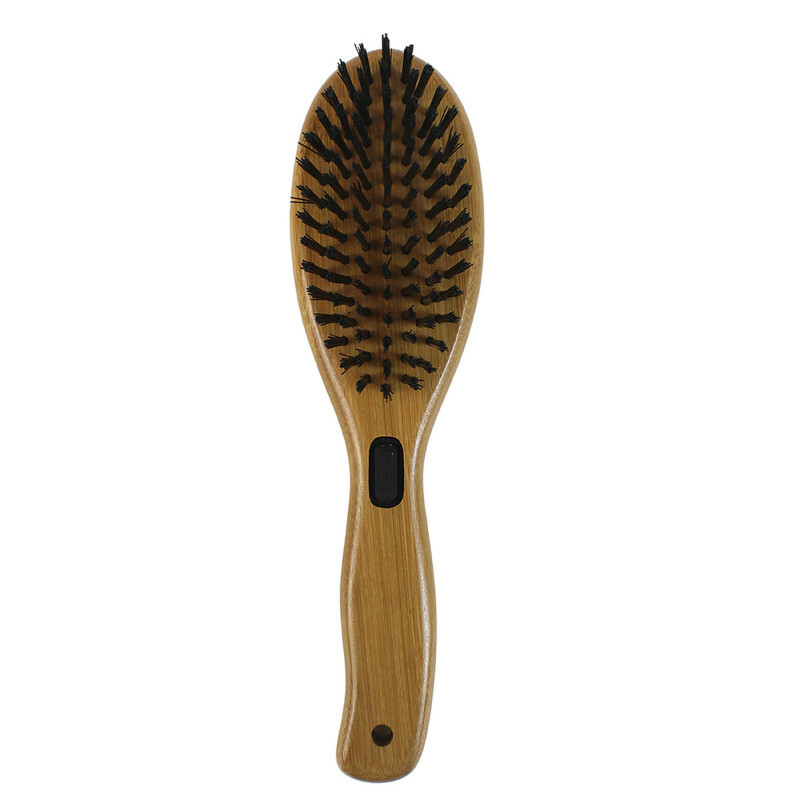 The factory is owned by the company who make the brushes and they have certifications to show the factory has good labour standards. 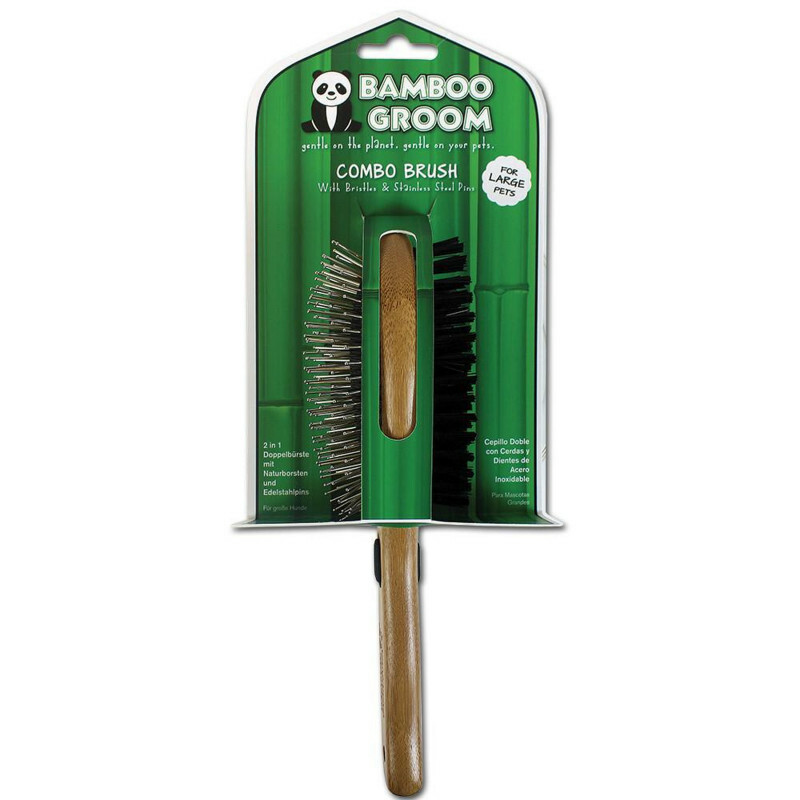 Each brush has a specific use - read more below! 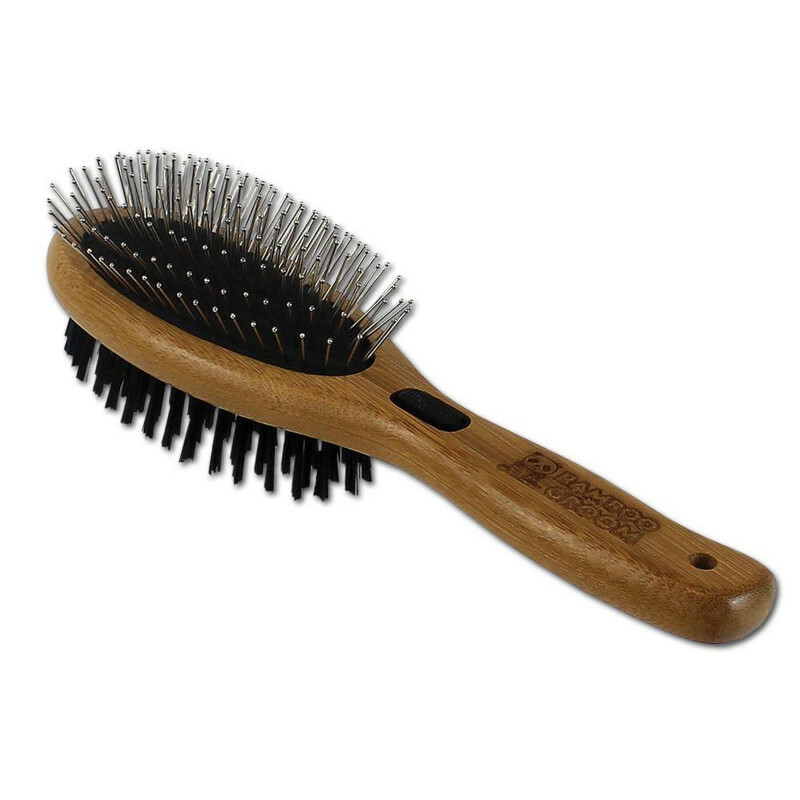 A double sided brush with bristles & stainless steel pins, best for pets with short to medium fur. 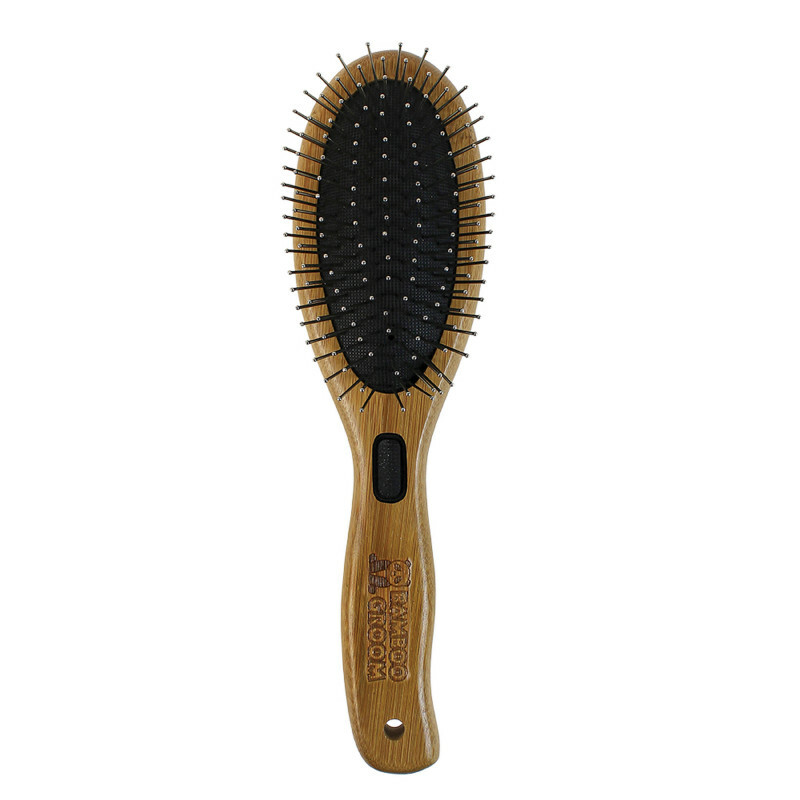 Use the side with rounded pins to gently de-tangle fur and remove the undercoat, then use the soft bristles to remove loose hair and debris. 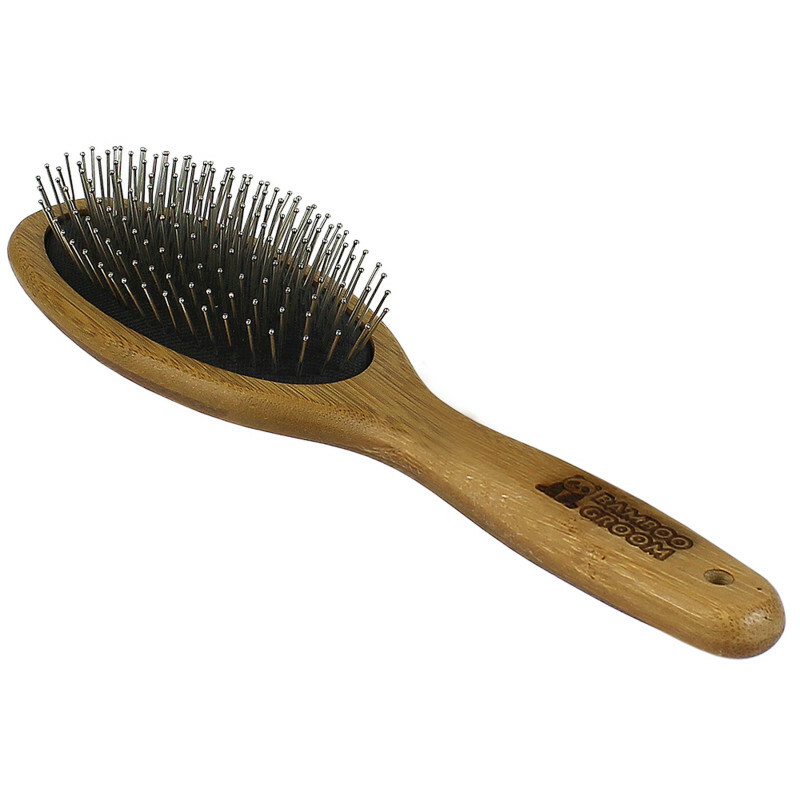 If you brush regularly you will distribute the natural oils in your pets fur to give them and extra shiny, healthy coat. 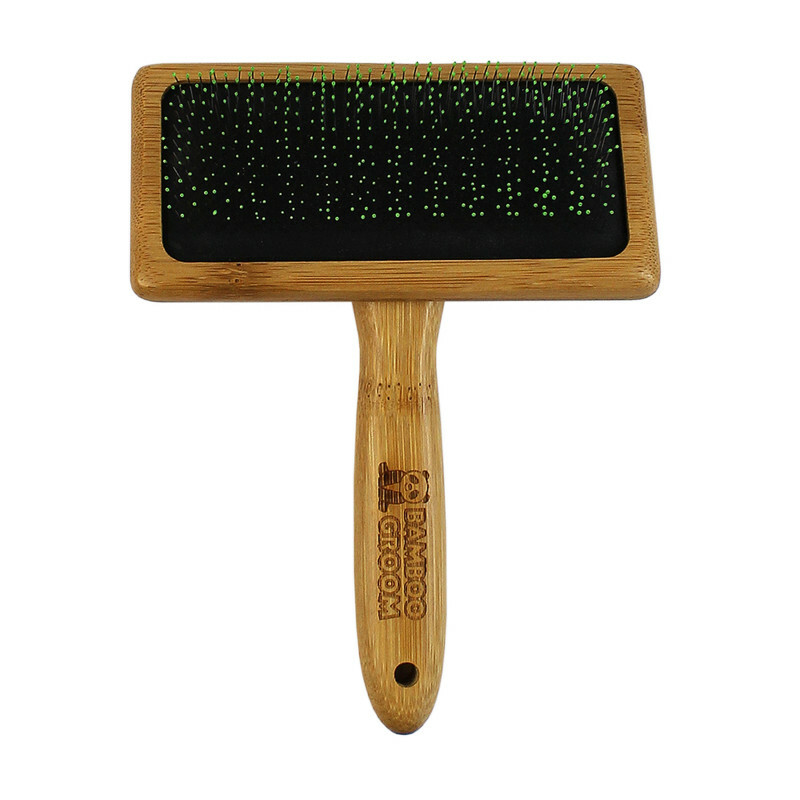 This wonderful flea comb has 77 rotating pins. 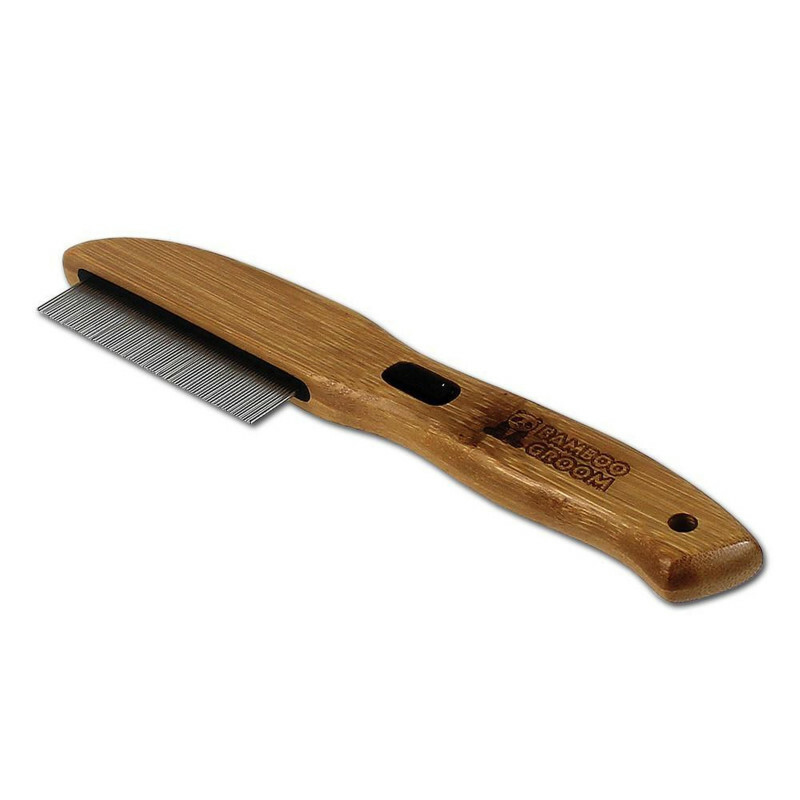 It lifts and separates the fur so the fleas and flea eggs can be found and removed. 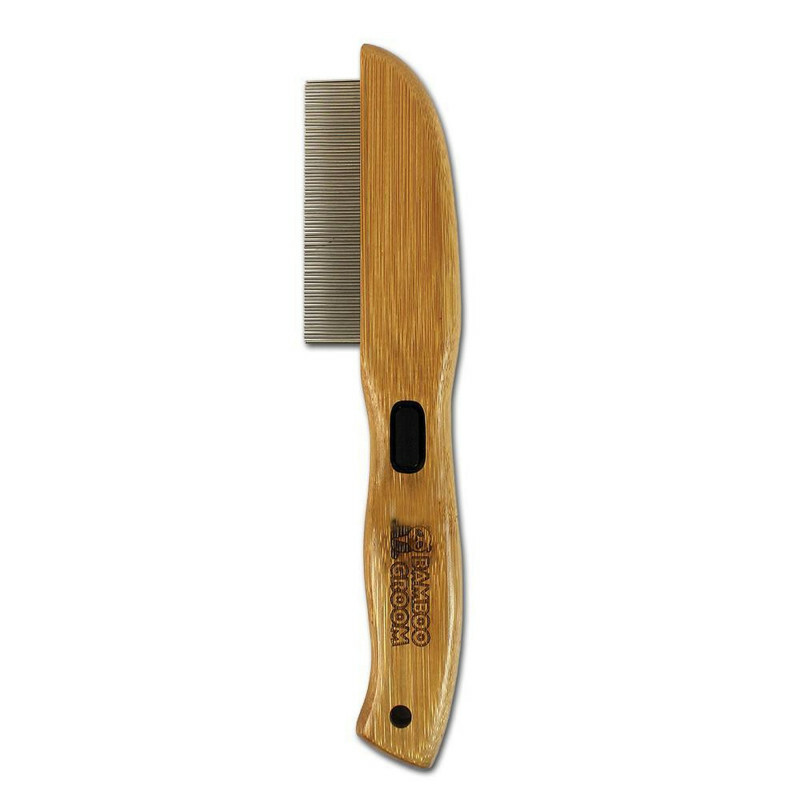 You can also use it to distribute flea sprays evenly throughout the coat. 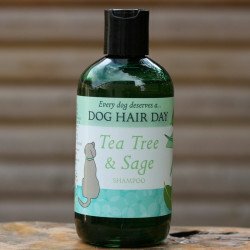 It can also be used for fine, detailed grooming around sensitive areas like eyes, ears and nose. 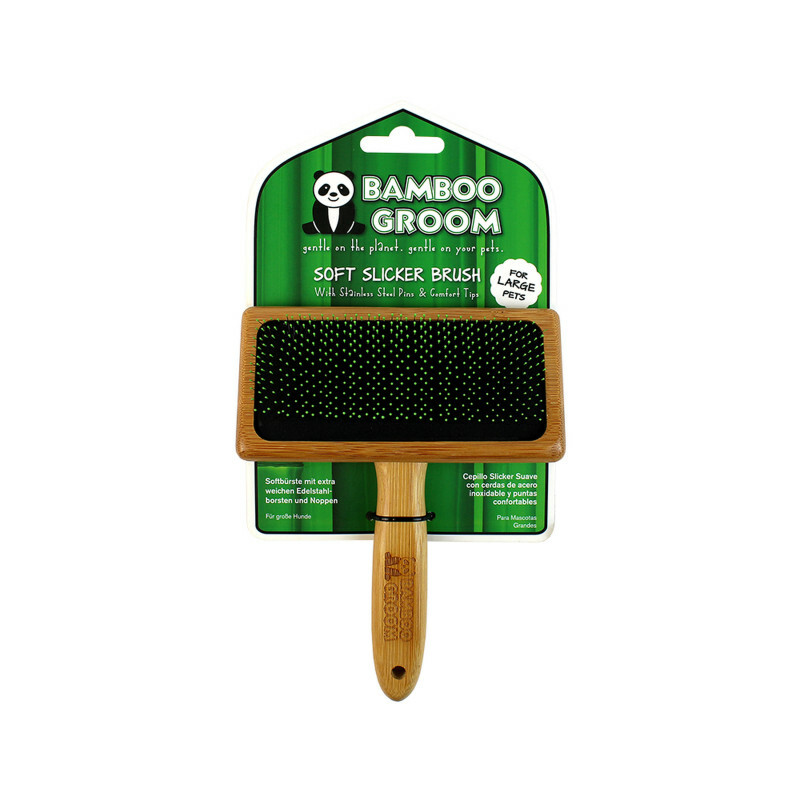 This brush is for any kind of coat, it has angled pins that remove loose hair from the undercoat - great for animals which moult/shed. 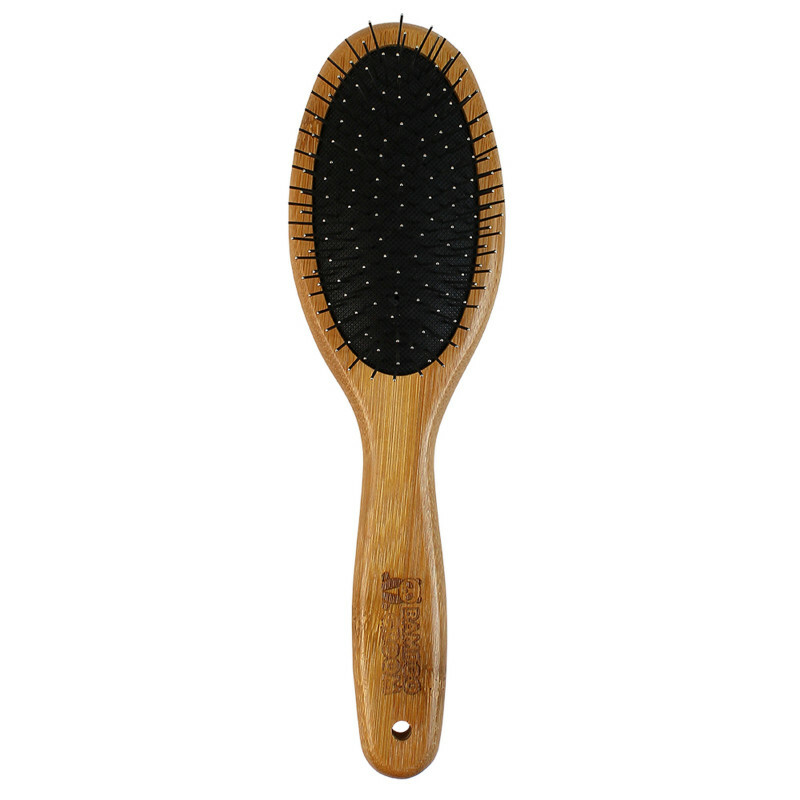 If you brush regularly you will reduce the amount of for your pet sheds around the house and of course keep their coat un-matted and silky-smooth.